I have to admit it. 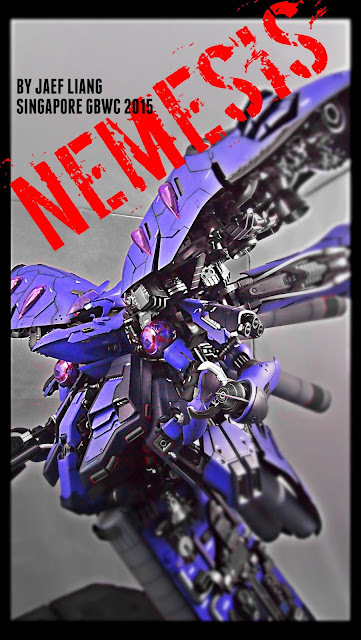 When Bandai announced the HG Neo Zeong, I could hardly believe what I heard. For one, it is going to be humongous. And a hefty price tag with it. And so for the past few months, we were treated to lots of pictures of prototypes, previews and news of its impending release. This was one of the earliest images released online. It was later clarified as a fan-art but I was hoping otherwise. I take this design any day. And of course, the most talk about was its size. 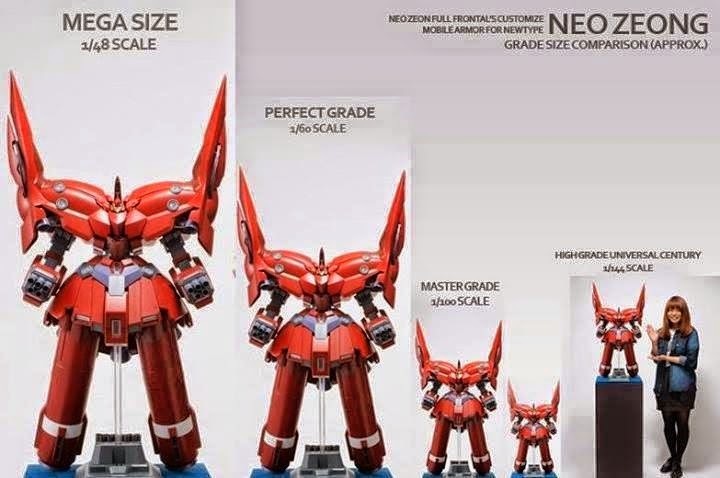 At 1/144, it's bigger than anything produced by Bandai. Even Dendrobium look scrawny besides it. Well, I was asked by Hobby Art Gallery to help assemble this one for them and I grabbed the opportunity without much deliberation. And it took me less than a five hours to assemble and I had it sent back the following day. As you begin to take out all the parts out of the box, you will start to wonder how long this is going to take. It may look daunting at first. But as I survey the parts, I realized most are big chunks of plastics and quite distinctive. I did not have to search for the labels on the plastic sprues. In fact I just go for the shapes which was easy to recognize. Assembly was like "snapping Lego". 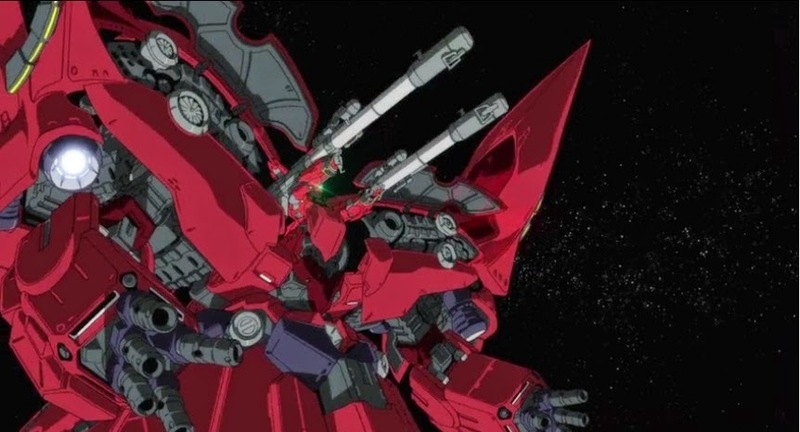 I have to give it to Bandai for it world class engineering when it comes to their model kits. No alignment issues, parts fitted perfectly. Everything fit in seamlessly. I was assembling like I did this many times. So, it shouldn't pose any problems for beginners. Or anyone for that matter. 10 out of 10. Design. This one has been debated across many platforms and forums. And views are divided. I didn't like the design when pictures of it were first released. I was expecting something more monstrous and sleek a the same time. Something that really complements Full Frontal. 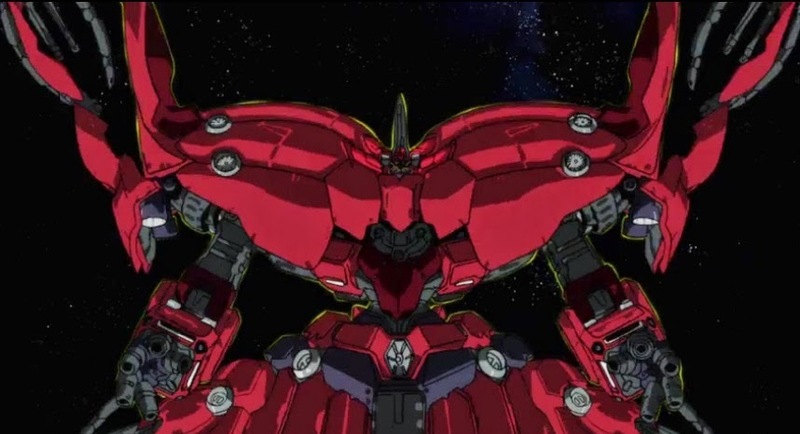 I never took a liking for those propellants like legs nor its cone shaped shoulders. The whole thing looked really weird to me back then. 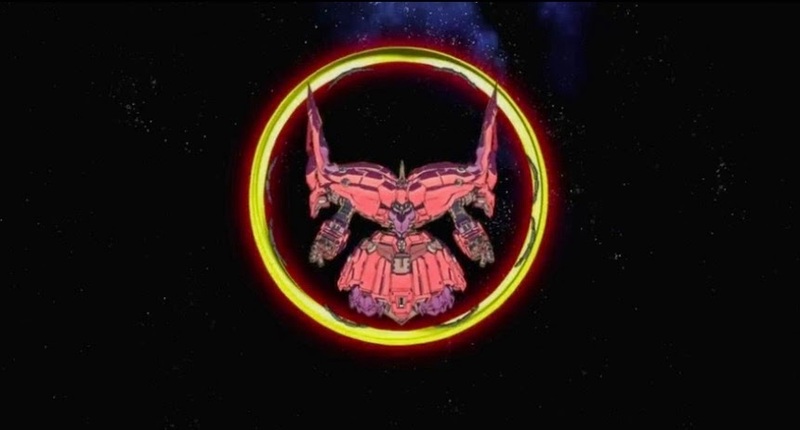 But after seeing episode 7 of Gundam Unicorn, I am beginning to accept that outlandish design. They could have come out with a better design. 6 out of 10. You can't expect much articulation for something so massive. All the appendages can be bent at the "elbows" but only to a certain degree. And that is pretty much it. It is not meant to be an action figure or toy anyway. And you want action poses? Well, buy something else. You only got ONE pose for this guy lol. 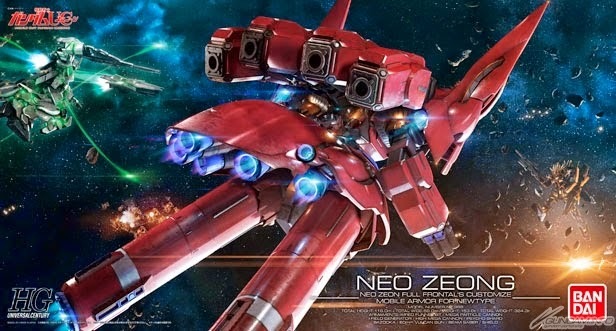 However, you can remove those propellants and have it hover like the Zeong. But it's going to be really heavy. it's under 10 kg. So if you ask me, get a central display unit or some classy pedestal, paint it and it will be all the talk each time someone visits. 7 out of 10. 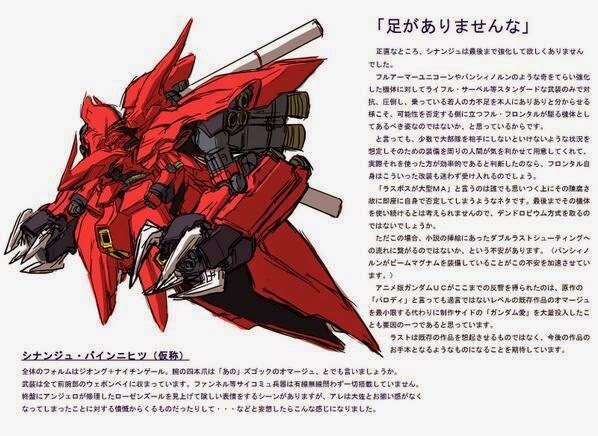 Well apart from the movable appendages and some detachable armor plates, there isn't anything much. Unless you also want to include the Sunanju as well. 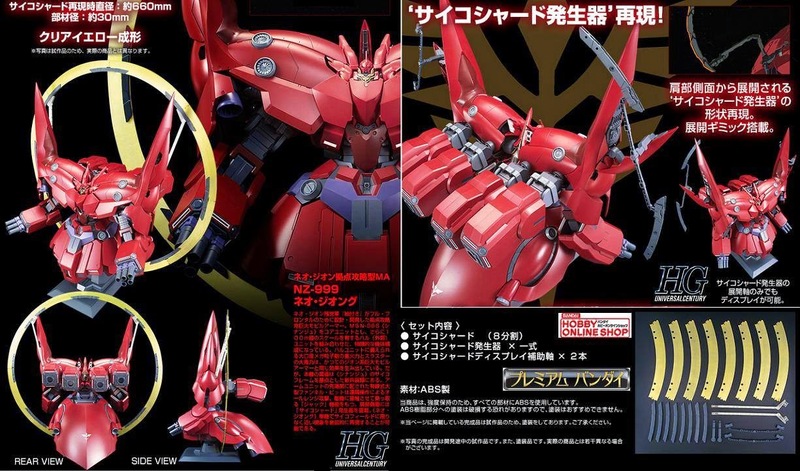 What really ticks me off is that they have to release the ring as a P-Bandai product. Affordability was never an issue. So why couldn't they bundle everything in for first time buyers? I can't explain for Bandai of course ( I was hoping someone there can enlighten me instead). 5 out of 10. Box is strong and sturdy as evident from the pic above. My final verdict? I say buy it. Although we are seeing mixed reviews from both camps, it will be a real shame to overlook it. Simply because of it's potential, it is a huge canvas to me, screaming for details and modifications. I can see the possibilities in itself. Conversions, high details and even kit bash. In fact I could use of couple of its for future projects. Don't wait for me. Go out there and get yourself one today!